I wasn't the only one who could relate to Cece making a bed, right? 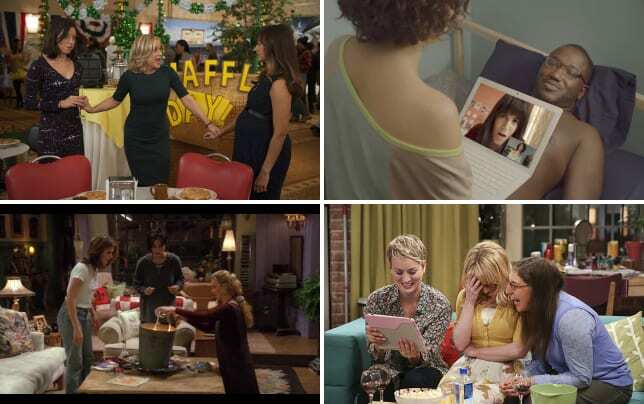 On New Girl Season 5 Episode 7, Winston quickly proved he's the Jess of the loft while she's away. Winston taking on many of Jess's personality traits has made me miss Jess a little less, but I'm still ready to welcome her back with open arms. Winston really is the perfect one to take on Jess's role because he wants to be liked by everyone. Even though some of the things he does are questionable he means well and his heart is in the right place. Before I get ahead of myself let's get right down to it and discuss, "Wig." I really understood why they wouldn't have Reagan immediately bond with the other roommates. She's clearly been on her own for a long time, and it would be out of character for her to jump into their madness. I would imagine they'll have Jess come back right as Reagan is starting to get close with everyone. It also wasn't a huge shock to learn Winston would have the biggest problem with Reagan not wanting to hang out with them. He's always been the one person who wants complete unity in the group – he gets major props for at least trying. The only problem I had with Winston was the reminder of him sucking at relationships. How many times can we be reminded of Winston failing in all of his relationships? It's a gag which is starting to wear thin. I admit I laughed at the various ways Winston has been broken up with, but it is time for this man to get into a functioning relationship. I figure they'll put Winston and Ali together soon. Of course the one relationship I am already tired of is the one between Nick and Reagan. I don't understand why he is so hung up on her. While Reagan is extremely attractive, there's just no chemistry between the two of them. On the other hand a case could easily be made about how much Reagan and Nick are alike. They're both horrible at relationships, especially breakups, and they both aren't great in social situations. Nick can easily be seen as the loner of the group, but I still don't think things would work out between him and Reagan. Either way Nick needs to get some type of hobby because Cece and Schmidt are in desperate need of some alone time. The sexual innuendoes Cece and Schmidt were throwing around were absolutely hilarious; though they made no sense. At least the two of them attempted to get Nick to get over his attraction to Reagan, even though the wig concept was ridiculous. Did they really think Nick wouldn't over-think things? In the end, Winston was able to help Reagan break up with her girlfriend. With the way Reagan is I was surprised she had never broken up with anyone. At least we learned Reagan does have a heart and doesn't want to hurt people. I did enjoy how all the friends rallied behind Reagan – they are pretty great roommates. Do you want to hear all the ways Winston has been broken up with? 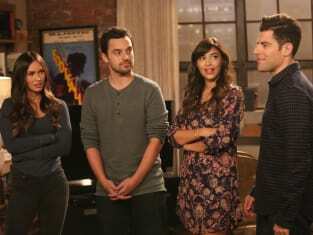 Go watch New Girl online now via TV Fanatic and make sure to come back to let us know what you think.